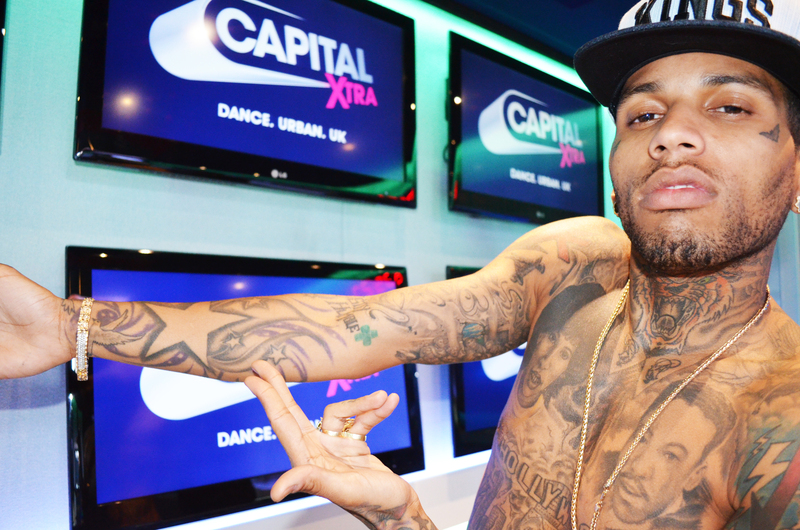 Watch Kid Ink pick out his favourite tattoos and explain what they mean to him exclusively for Capital XTRA. 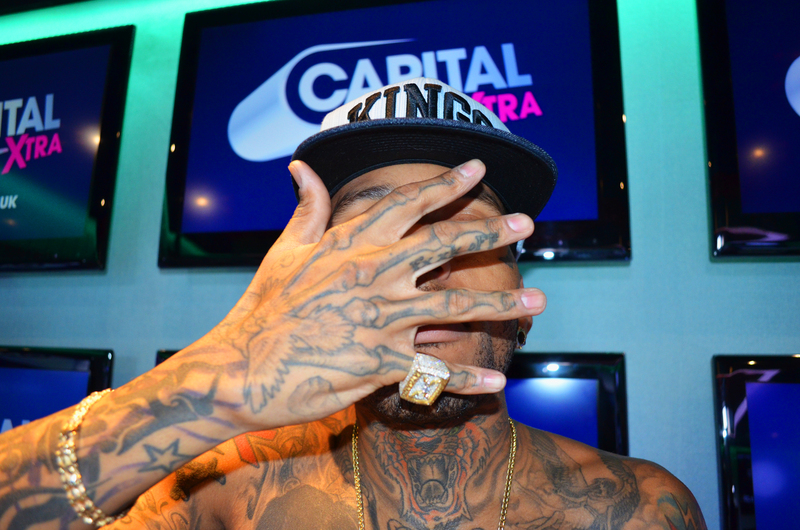 When Kid Ink dropped by the Capital XTRA studio we asked him to give us the low down on the hundreds of tattoos that cover his body. The 'Body Language' rapper happily showed off the map that is his body and picked out for us his six favourite tattoos, from the first one that he ever got to his most meaningful, explaining what they mean to him. Check out Kid Ink's top six inkings below. When we asked Kid Ink to take his top off and choose a handful of his favourite tattoos for us to photograph, without a second thought the first one he picked out was the skeleton bones that covers his hands. Why does he like it so much? Watch the Vine below to find out. 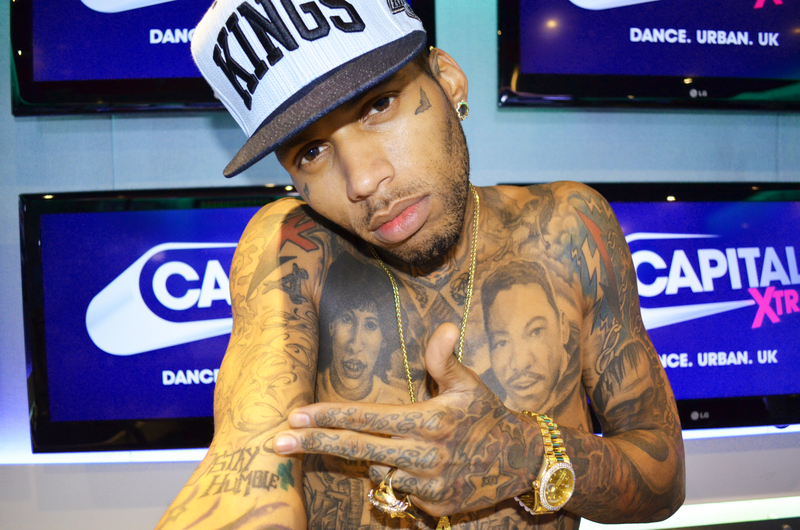 Kid Ink might be covered in tattoos but he has only a few written words on his body. His favourite 'quote' tattoo is on the inside of his right arm and reads 'Stay humble.' He says they are the words you need to live by to get ahead in the game. The most prominent tattoos on Kid Ink's body sit on his two pecks and are good size bigger than the rest. They are of his mother and grandfather, the two people that raised him and who he says helped him most in life. Funnily, his grandfather doesn't actually like tattoos, but he said the on of himself is the best tattoo he's ever seen. 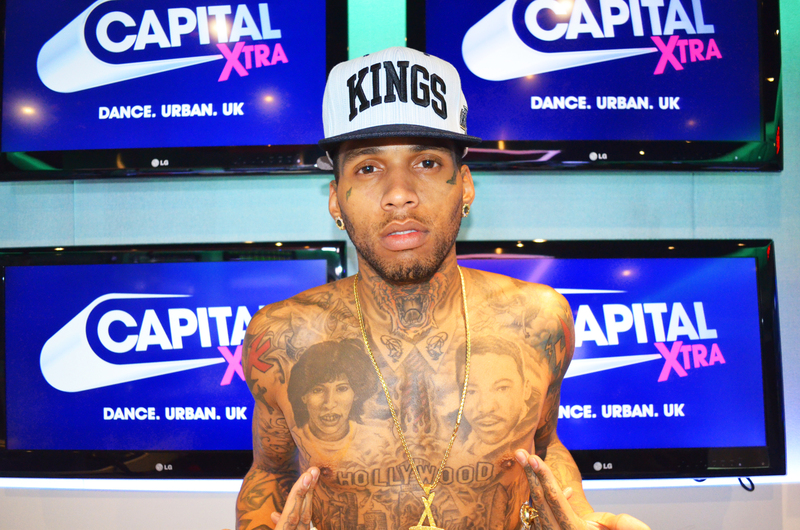 Kid Ink, real name Brian Collins, got his first tattoo at age 16 and his mum accompanied him to the tattoo parlour. Below he picks it out as one of his favourites to this day. Across his back Kid Ink has the name of the iconic hip-hop band 'Public Enemy' written in large red letters, with a pair of eyes sat in between the words. Interesting, when we asked the rapper the meaning behind the tattoo, he didn't mention the hip-hop group, but said that together they represent how he needs to "watch his back." 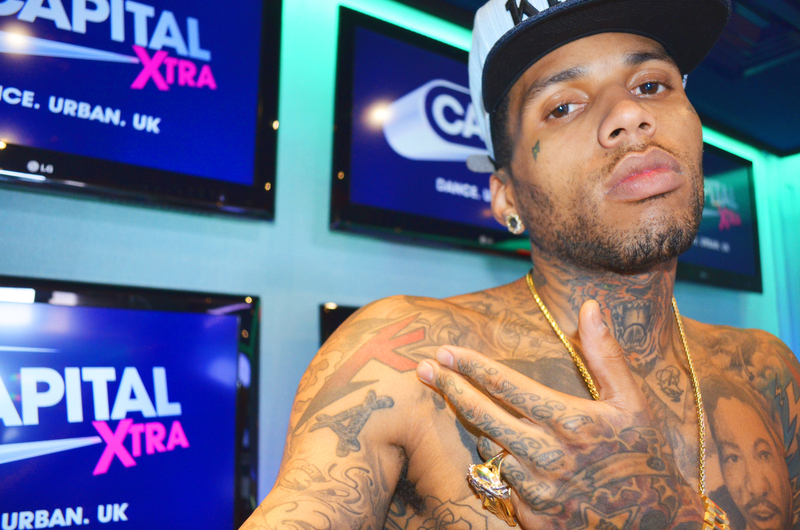 Signed to 'Tha Alumni Group,' Kid Ink is clearly a loyal guy as he has the Alumni's 'A' just below his right shoulder.